Day + Time: Sundays from 10:00 a.m. -11:00 a.m. This curriculum is based on American Ballet Theatre’s National Training Curriculum. 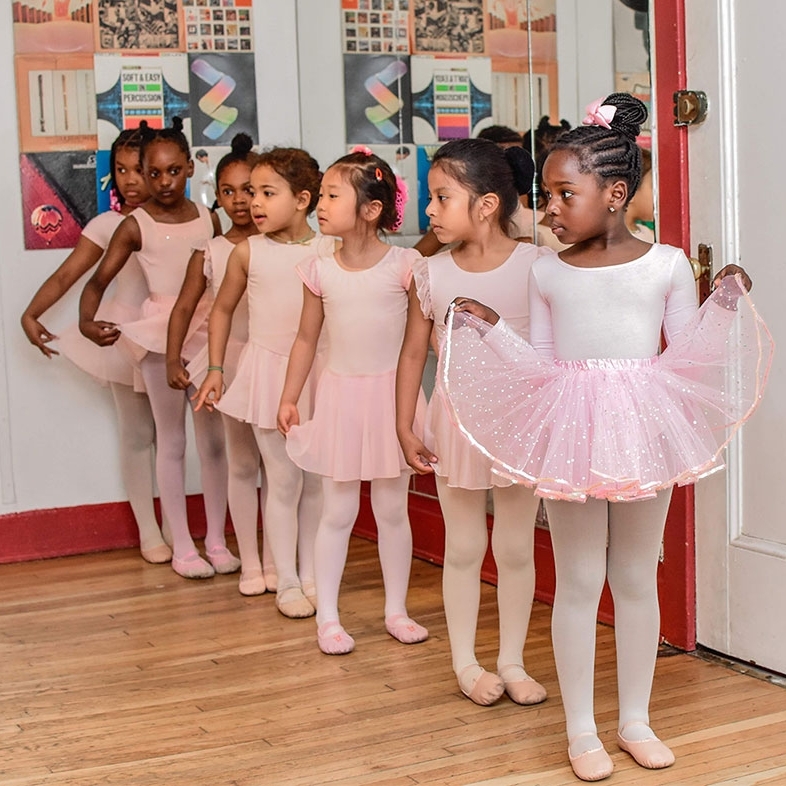 Students will learn basic ballet fundamentals in a fun and creative manner while developing musicality and rhythm. Students will actively engage in proper alignment and class etiquette for ballet while utilizing ballet vocabulary. The class structure consists of floor work, center exercises, across the floor exercises and improvisation. This class will prepare students for more advanced and structured classes.